The new Chris Smither tribute album on Signature Sounds. 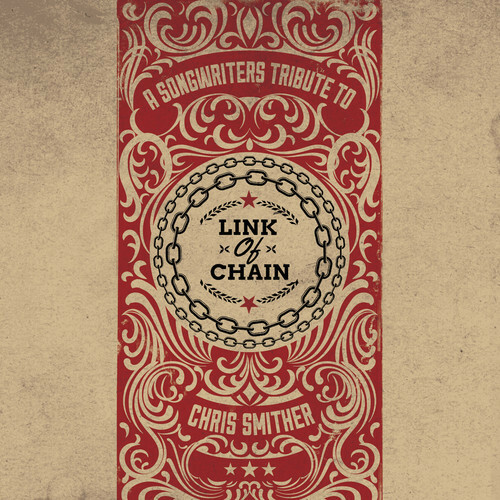 In celebration of Chris’s 70th birthday, Signature Sounds has released Link of Chain: A Songwriters Tribute to Chris Smither. The album features friends and peers like Loudon Wainwright III, Bonnie Raitt, and Dave Alvin performing gems plucked from Chris’s deep catalog. Music fans know that Chris has written a countless number of masterful songs during his 50-year career, but hearing this eclectic set of interpretations is a startling reminder of the depth of Smither’s catalog. The album begins with Dave Alvin giving “Link of Chain” a spacious, big-sky feel that contrasts with Smither’s more driving original version. You can hear Alvin’s love for the song shining through his sandy voice. Alvin and Smither forged a strong connection when sharing a record label and touring as the Monsters of Folk with Tom Russell and Ramblin’ Jack Elliot in 1998. More recently they swapped songs with Peter Case on a Roots on the Rail Los Angeles-to-Seattle musical train trip. You’ll find Case’s intimate take on the wistful “Caveman” on this tribute as well. And now tomorrow’s just your grand plan for yesterday. It is surprising to see which of Chris’s satchel of songs the artists have chosen. There are wonderful renditions of “Rosalie” by Josh Ritter, “Can’t Shake These Blues” by Eilen Jewell, “Small Revelations” by Aoife O’Donovan, “Origin of Species” by Tim O’Brien, “Time to Spend” by Peter Mulvey, “Song for Susan” by Mark Erelli and Jeffrey Foucault, “Call Yourself” by Heather Maloney and “Train Home” by Patty Larkin. They all make for a remarkable link of chain to Chris and his songs.